Join us, under the full moon on Friday March 22, 2019 at the beautiful Hillsboro Lighthouse. Dine on unique Hors d'oeuvres under the stars. Dance to the beat of our live music and DJ. Dress in your best black & white to make a statement in honor of 113 years of stoic LIGHT. Ladies, please, leave your heels at home so you can safely, climb 175 steps to the top, for a rare opportunity to visit the lens room and see the brightest and only working second-order bivalve Fresnel lens in the world! 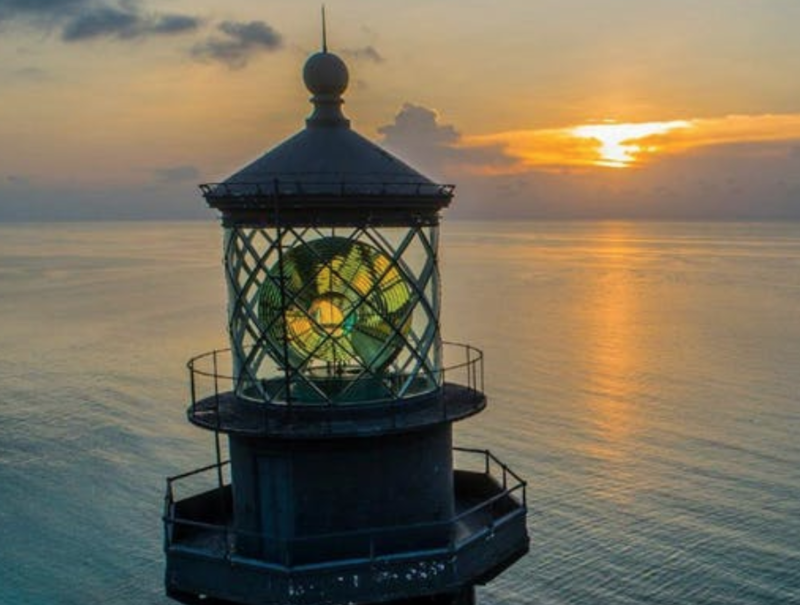 During the evening, you may participate in our silent auction, climb to the top of the lighthouse, enjoy our open bar (liquor, beer & wine) & dance the night away under the full moon. Bid on a 2-night stay in our 3 bedroom, 2 bathroom keepers cottage on March 22-23th. Opening Bid starts at $1,500. Email your bid to : president@hillsborolighthouse.org Bids close February 15 at NOON. The winning bidder will notified February 16, 2019. Details: Leave the driving to us! Park at the new Pompano Beach Pier parking garage, just north Atlantic blvd & A1A and two old time trolleys will provide a nostalgic and charming ride to the Lighthouse.